The 16th century bones - two femurs (thigh bones) and an ulna (wing) - have been analysed by University of Exeter archaeologists and identified as among some the first turkeys to be brought to England from the Americas. The bones are on display at the Royal Albert Memorial Museum & Art Gallery (RAMM) where Spanish, German and Italian pottery and glassware from the same site are also displayed. These items could have been on the table when the turkey dinner was served. The first turkeys were introduced to England in 1524 or 1526 by William Strickland, a member of Parliament in the reign of Elizabeth the first, following a voyage to the Americas. Professor Alan Outram, zooarchaeologist and Head of Archaeology at Exeter, said: "As the date of these bones overlaps with the historical evidence of Stickland's introduction of the birds, the remains of this feast may well represent the earliest physical evidence for a turkey dinner in Britain. This is an important discovery and could allow more research to be carried out about early domestic breeds and how the turkey has changed genetically since the 16th century." Analysis by Malene Lauritsen, a post-graduate researcher in the University of Exeter's archaeology department, has proved from the bones that the turkeys were butchered and were probably eaten as part of a feast by wealthy people. The pottery lying alongside was also of high quality. They were found together with the remains of a veal calf, several chickens, at least one goose and a sheep. This selection of food - some of which were very expensive at the time - suggests this was the rubbish created by a feast attended by people of high status. 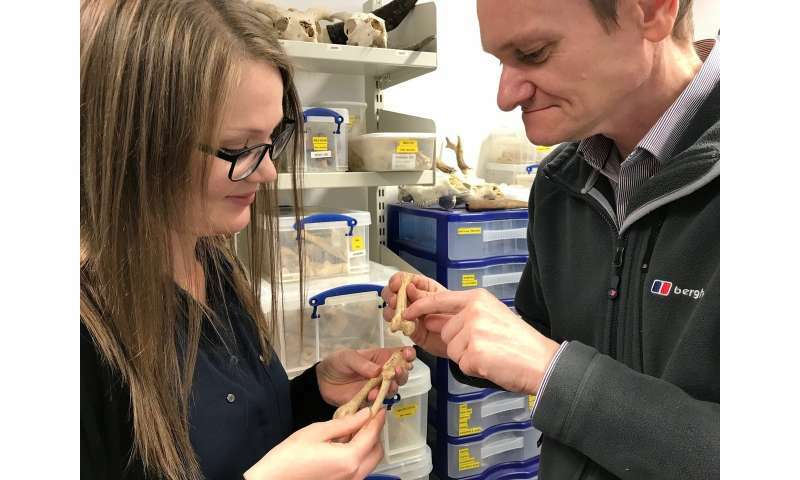 "What is exciting about these turkey bones found in Exeter is that they date from almost exactly the same time as the first birds came to England. Their age certainly means it is possible that these are the remains of one of the first turkeys to come to England, or a turkey bred from this group," Ms Lauritsen said. "It is extremely rare to find turkey bones from this period. Remains from the first half of the 16th century have only been found in two other sites in Britain, the oldest from at St Alban's Abbey in Hertfordshire. I have found cut marks on the bones, showing the birds were butchered. We can only guess at who ate them, and for what reason, but turkey would have been very expensive and the same household certainly ate other pricy meat too, so this must have been a special occasion." Strickland, who became an MP and was known for his ferocious debating style, adopted the turkey as the symbol on his family crest in 1550. His coat of arms is reported to be the first depiction of the turkey in Britain. The village church where Strickland is buried has images of turkeys depicted in stained-glass windows, a carved lectern and even stone sculptures on the walls. The bones found during excavations at Paul street, in central Exeter, have been stored in boxes in the Royal Albert Memorial Museum's stores, and are on temporary display. The bones are part of the collections at RAMM, and are on temporary display to celebrate the new discovery about their origins. 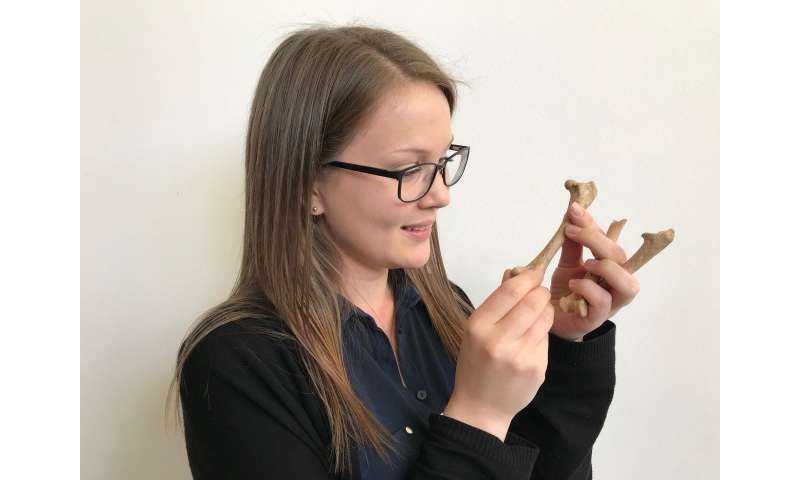 In February 2020, the bones will be displayed in RAMM's Making History Gallery alongside all the discoveries made from a wider archaeological research project with the University of Exeter called "Exeter: A Place in Time". RAMM Assistant Curator Tom Cadbury said: "This is a fascinating discovery and really shows what an international place Tudor Exeter was. RAMM already displays some of the Spanish, German and Italian pottery and glassware found on the site, perhaps the turkey dinner was eaten off one of these. RAMM welcomes research on the archaeological finds from Exeter in the museum; evidence such as this helps us uncover stories about the lives of past people in Exeter." Cllr Rachel Sutton, Lead Councillor for Economy & Culture and Deputy Leader of Exeter City Council said: "Exeter is blessed having a museum and a university that are both world-class. Working together, they are uncovering information about Exeter's past that would have been inconceivable only decades ago. Collaborations such as these are vital to Exeter's success."